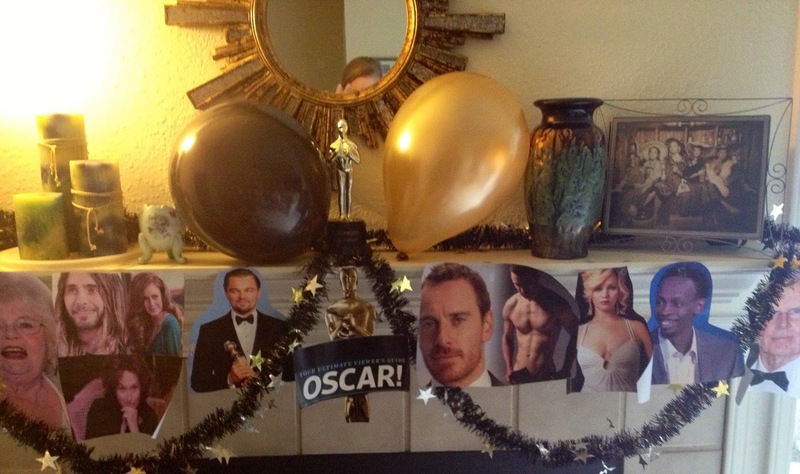 Oscar night is almost here, folks! Cheers to another year of excellent films and top notch performances. I'm busy planning my Oscar party (and by "party" I mean gathering of 2 people to actually watch every minute of the show, very little talking allowed.) Here are my predictions for who will take home the gold! Should Win: My personal favorites of the year were "Room" and "Brooklyn". While I'm glad these two indies were recognized by the Academy, their nomination is their win. Will Win: People seem to be on the "Spotlight" train. I wasn't crazy about it, but it's a pretty accurate portrayal of investigative journalism, and tackles a really tough subject with some solid performances. Should Win: The Academy is incredibly political and for his body of work, my man Leo should take home the gold. Is "The Revenant" his best performance? I would say it takes second or third to "The Wolf of Wall Street" and "Django Unchained", but it was excellent, and enough for him to win his first Oscar. The only upset would be Eddie Redmayne for "The Danish Squirrel" but he just won last year, so it's unlikely he'll win again. Should Win: As much as I enjoyed Larson's performance, this is the most I've ever liked Jennifer Lawrence. I don't think she should have won for "Silver Linings Playbook" - this should have been her Oscar performance, but it won't be since she's already gotten the gold. Will Win: Brie Larson. Has she earned her stripes? Maybe not, but considering how raw and emotional her performance was, it's definitely enough for her to take Oscar home. Should Win: Mark Ruffalo is another one of those actors that should win an Oscar just for his body of work. He was excellent in "Spotlight", much like every other film he has done. Will Win: Stallone. He's an icon and his Rocky character is so beloved. If "Creed" was as fabulous as everyone says, he's got it in the bag. Should Win: Alicia Vikander. Out of nowhere, she nailed every single role she had this year, and this performance struck me to the bone. Her emotion in the film was palpable and promising of a bright career in film. Will Win: Vikander. Her competition isn't very strong, and her performance was incredible. Should Win: Lenny Abrahamson! "Room" blew me backwards and knocked my socks all the way into the Kodak (Dolby) Theatre. But again, his nomination is his win, so I would say Iñárritu. Will Win: Might there be a Miller upset? The Academy went cuckoo for the new installment of "Mad Max" and Iñárritu just won last year for "Birdman", so it's possible that Miller's beloved film could get passed over for Best Picture and they honor him with Best Director. Tom McCarthy for "Spotlight" could also be an upset, but I would be the upset one if he did win.